Not too long ago, people used to feed traditional dog treats to their canine buddies that were mostly in the form of table scraps, milk bones, and biscuits that contained a lot of fat. This wasn’t in any way the healthiest choice of dog treats and as time flew by it became apparent that dogs tend to develop food allergies and food intolerance, which in turn can lead to numerous debilitating health complication. This is also why you should always invest in the best dog treats no matter what. On top of that, there is no denying that a wide variety of dog treats both commercial and organic pet food and feed stores, not to mention your average supermarkets. Also, your greatest tool in finding natural dog treats or low-calorie dog treats is the internet. There is so much research material on why it is so crucial that you should always feed your dog healthy and naturally processed treats that contain hypoallergenic ingredients. Sure, no two dog breeds are the same; however, all dog breeds may be susceptible to food allergies and intolerance if given the wrong types of foods. As a good and responsible dog owner, you have to ensure that what you feed your dog helps him to grow both physically and mentally – top quality dog treats also contain Omega fatty acids that are proven to help develop brain functionality in dogs. What Are Organic Dog Treats? Organic dog treats use naturally processed ingredients that are allergen free. The meat and lean protein use in making natural doggy treat come from grass fed cattle and naturally feed poultry. Moreover, these products do not use the artificially enhanced proteins where cows and chickens are given antibiotic shots and growth hormones. Fruits and vegetables that are farmed naturally without the use of pesticides or insecticides are considered as organic and fully natural. A majority of commercial and conventional dog treats contain genetically modified ingredients and a lot of additives that can lead to several health complications for your pooch. The chemicals and preservatives used in making these dog foods can poison your dog, significantly reducing his lifespan. Having said that, whenever you are shopping for natural dog treats or chewy dog treats for your beloved canine companion it is vital to check every ingredient carefully. Read the ingredients label at the back or front of the packaging to ascertain whether or not the food products used are natural or not. 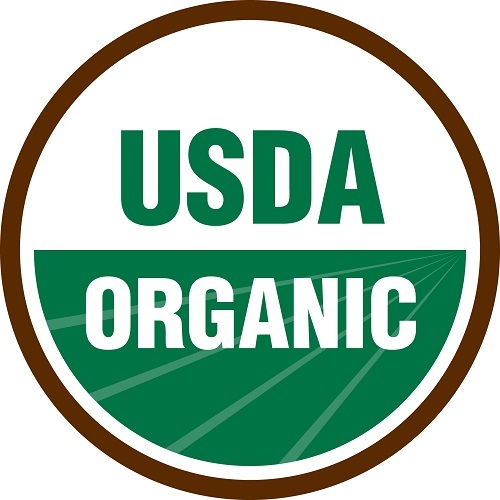 Plus, it is also important to check and see whether the product has a “USDA Organic Certified” stamp, which further testimony to the fact that the product is hypoallergenic and safe for your dog to eat. But before you buy any product, it is wise to consult with an experienced veterinarian. Based on the type of dog breed you have, the expert will be able to tell what types of foods or treat you can safely give him and not be worried about an allergic reaction. Apart from checking out the ingredients label, check whether or not the product has artificial ingredients or additives added to it. If yes, then stay away from the product no matter if the rest of the ingredients are safe. What To Use Dog Training Treats For? Dog treats are different from a full meal that you feed him. 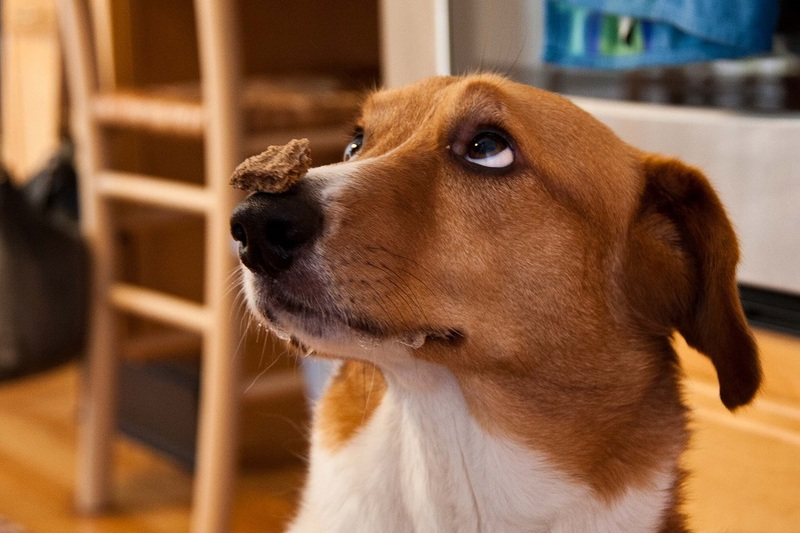 However, it is important to know when and when not to give your dog gourmet dog treats. It is quite simple really; you can use the treats to train your dog. For example, if you want to potty train your dog, train him to tell you to take him outside, whenever he does this, treat him or whenever he comes close to listening to you, treat him. The same goes for any other sort of training. However, you must not indulge him. 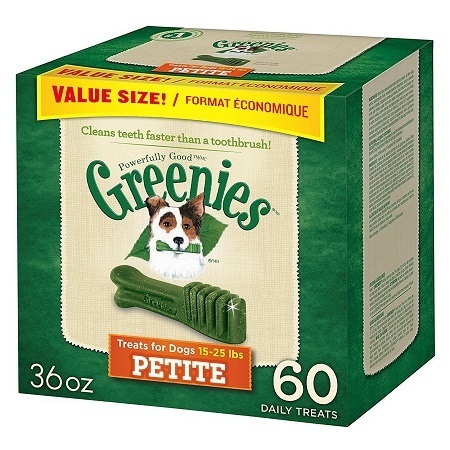 Greenies dog treats are delicious, and if fed frequently your dog will begin to put on weight. So, restrict some treats you give him to a minimum or whenever he obeys your commands. In a lot of dog breeds, it has been identified that an allergic reaction manifests as a skin rash or a bad itch that leads to infection and other serious medical problems. If you have ever experienced this problem with your dog, you may very well know how harrowing the ordeal can become for your canine companion. 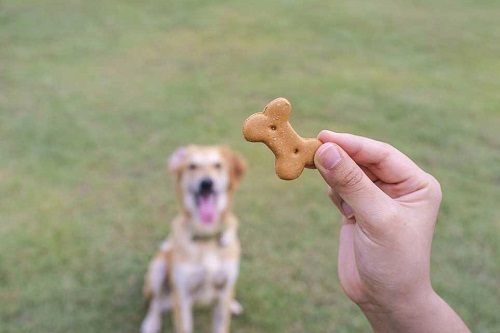 You always have to be careful when you give your dog treats, as it is nearly impossible to pinpoint the food ingredient that is causing his problem. This is where you must buy safe dog treats that are made with organic ingredients. This is where it smart to test different types of proteins. For example, stop giving him lamb or chicken and start giving him duck, kangaroo or rabbit meat. Gluten-free dog treats are made with 100% natural ingredients and are allergen free. However, if your pooch does not seem to get used to the food take him to a vet immediately. Commercial grade doggy treats are manufactured using unhealthy ingredients and several additives and artificial ingredients. For example, you can expect normal dog treats to contain food dyes, flavoring agents, food coloring and several similar additives. All of these components can wreak havoc on your dog’s digestive system leading to several skin and fur problems. Organic and natural dog treats comprise of powerful combinations of vital nutrients, probiotics, vitamins and Omega fatty acids that keep the skin of your pooch clear, rash and lesion free. Plus, these nutrients also help give him a healthy, shiny and softer coat. The greatest thing about organic dog food is the fact they burst with excellent sources of vitamins, fiber, antioxidants and other components. So, if your dog is putting on a lot of weight or is on the verge of obesity, the only thing you can do to help shed his weight and make him more active is to feed him organic treats. These nutrients are known to help a dog lose weight and make him more active. There are numerous reports that have shed light on the fact that imported dog food treats, especially from China and other countries in the Far East contain contaminants and unhealthy ingredients. The product seems attractive because of the low price. But in actuality, it can cause a lot of health problems for your pooch. So, buy a product made as per the standards of the FDA in the US. There are undoubtedly far safer and healthier. The Greenies Dog Treats for oral health comes recommended by a majority of veterinarian across the US. 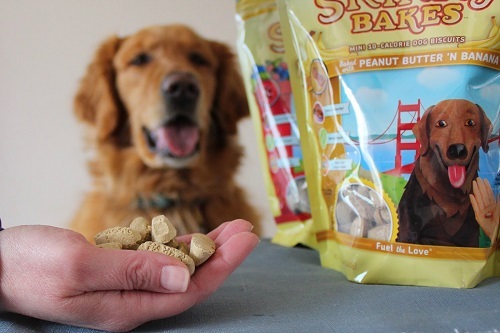 These dog treats are the ultimate form of maintaining your dog’s dental health. The daily chews provide a healthy and safe way of removing plaque from his teeth and eliminate tartar formation, which in turn can give your dog a pleasant breath. 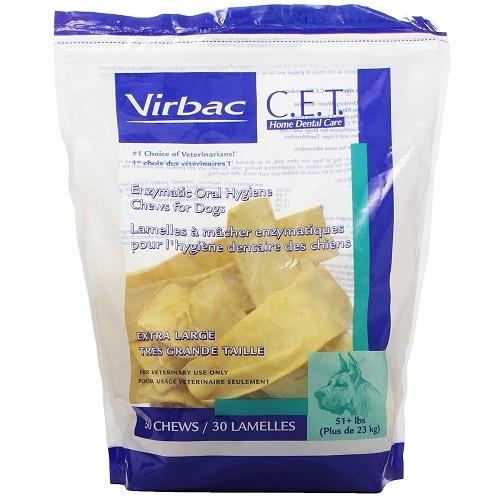 The Virbac Enzymatic dog treat for enhanced oral health is the best solution for at-home dental care. This is not to say that you shouldn't take your dog to vet for professional dental care, but these hygienic dog chews can help get rid of plaque and tartar on a daily basis. The dog chews include a special Chlorhexidine System, which effectively eliminates plaque and tartar buildup. 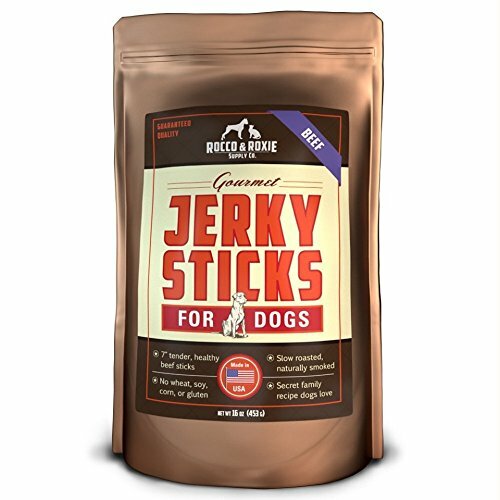 You do realize how powerful a dog’s sense of smell is – but as a human, there is no doubt you will be able to smell that the jerky treats by Rocco & Roxie are the real deal from the second you tear open the bag and feed your dog. 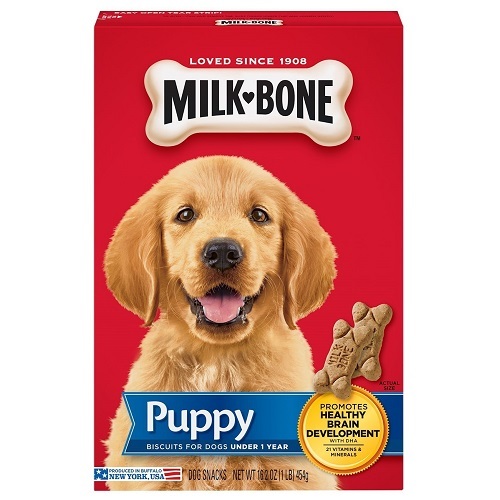 The Milk-Bone Original dog treats are formulated with natural nutrients. Plus, the special dog treats are designed to help your dog keep a clean and disease-free set of teeth. 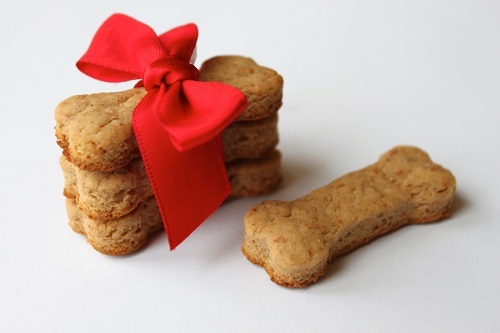 The Milk-Bone Original dog treats are specially made for puppies aged 1 or above. The 12-inch Standard Bully Sticks are made with 100% naturally processed beef cut from cattle that are grass-fed. 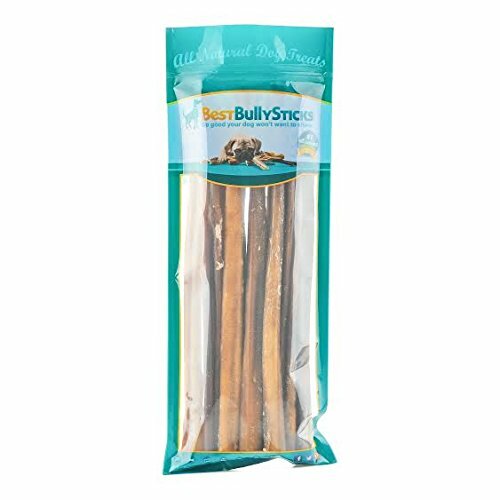 The bully sticks are hypoallergenic and do not contain additives or artificially enhanced ingredients. 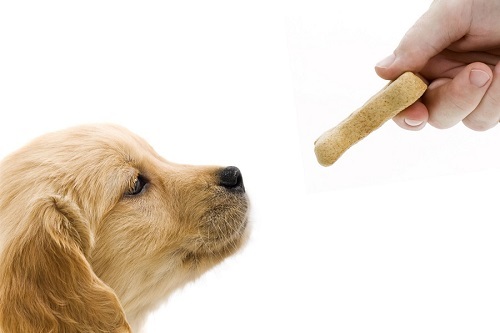 In all, the health advantages of natural dog treats are incomparable. Invest in feeding your dog the best types of foods and treats so that he grows big and strong. However, it is wise to get a consult with your veterinarian before starting your dog on a new brand of organic food.